Anyone is encouraged to use the information in my thesis for further research, please refer to my thesis or this page. Some of my files were removed accidentally from the webserver and the last back-up was not that recent. At least, here is a PDF of my thesis (subdivided in the chapters) here. Finite element modelling of tertiary paleostress fields in the eastern border of the Tajo basin (Central Spain), A. Mu�oz Martin; S. Cloetingh; G. De Vicente and B. Andeweg, 1998. Tectonophysics 300: 47-62. Local stress fields and intraplate deformation of Iberia: variations in spatial and temporal interplay of regional stress sources, Andeweg, B., G. De Vicente, S. Cloetingh, J. Giner and A. Mu�oz Martin, 1999. Tectonophysics Special Volume on Penrose Conference "Tectonics of the continental interiors", 305: 153-164. Evidence for an active sinistral shear zone in the western Alboran region, Andeweg, B. and Cloetingh, S. 2001 Terra Nova, 13, 44-50. Flexure and 'unflexure' of the Northern Alpine German-Austrian Molasse Basin: constraints from forward tectonic modelling, Andeweg, B. and S. Cloetingh, 1998. In: Cenozoic Foreland Basins of Western Europe. Geological Society Special Publications, 134: 403-422. Active tectonics in Iberia and related stress fields, De Vicente, G.; Vegas, R.; J. Giner; S. Cloetingh and B. Andeweg, 1997 Abstract for: 29th General Assembly of International Association of Seismicity and Physics of the Earths Interior. Thessaloniki, Greece, 16-28 august 1997. Acomodacion de la deformacion intraplaca y la sismicidad resultante en la Peninsula Iberica: flexuras de la corteza y corredores de falla, Vegas, R.; S. Cloetingh; G. De Vicente; J. Giner; B. Andeweg; P. Rincon y A. Mu�oz Martin, 1998. Abstract for: Primera asamblea Hispano-Portuguesa de Geodesia y Geofisica/ IX Asamblea Espa�ola de Geodesia y Geofysica. Aguadulce, Almeria, Spain 9-13 february 1998. Modelling of Tertiary to present day stressfields in the Iberian Peninsula and related intraplate deformation , B. Andeweg, G. De Vicente, S. Cloetingh and A. Mu�oz Martin, 1998. Abstract for: EGS april 1998 (Nice) poster presentation. Annales Geophysicae, Supplement of Volume 16, 1998. Paleogene tectonic activity of the Spanish Central System, evidences from structural and sedimentary geology, and apatite fission tracks B. Andeweg, C.H. De Bruijne and W. Nijman, 1998. , Abstract for: 4th National Earthsciences Congres (NAC) may 1998, Veldhoven, Holland. Procedings of the NAC, BEST POSTER AWARD winning contribution. Finite Element Modelling of Tertiary to present day stress fields in the Iberian Peninsula , B. Andeweg, G. De Vicente, F. Beekman, S.Cloetingh and A. Mu�oz Martin, 1998. Abstract for: WSM and Beyond Congres, Heidelberg 3-6 sept.1998. Poster presentation. 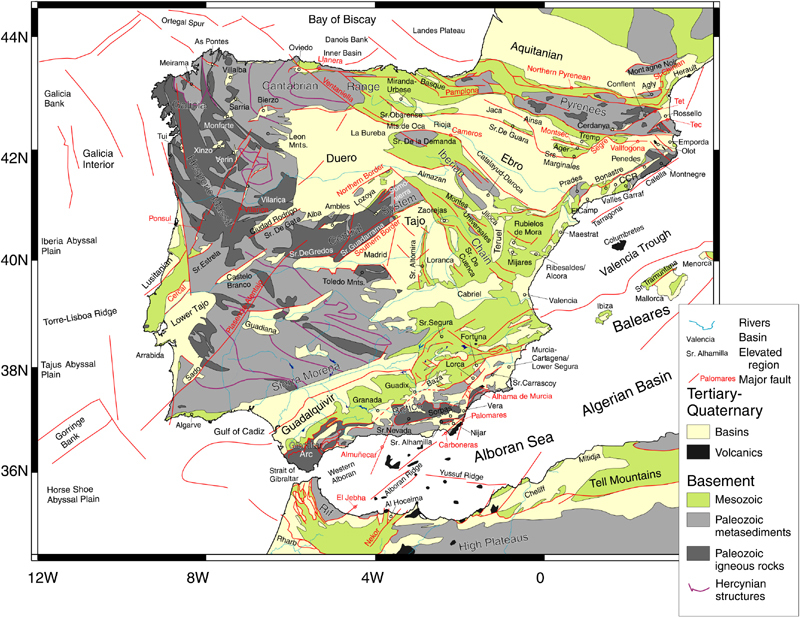 Tectonic activity of the Spanish Central System during the Paleogene evidenced by structural and sedimentary geology, and apatite fission track analysis , B. Andeweg, C.H. de Bruijne and W. Nijman, 1998. Abstract for: ILP-meeting 25 sept-2 oct. 1998, Oliana, Spain. Poster presentation.